Taking to Twitter, Arvind Swami posted a message talking about the strike and the negotiations the producers have had with the theatre owners and DSPs. Its been more than 45 days and there have been no new releases in the Tamil film industry because of an ongoing strike by the producers and the theatre owners. What kicked off as a protest against the high Virtual Print Fee (VPF) by the Digital Service Providers, the strike is now at a stage where the producers have eventually replaced the DSPs with a new vendor and are asking for the fees at the theatre level to be slashed. Shootings of many big films have been halted because of the strike and industry experts claim that the business of the Tamil film industry has taken a toll with crores of investment at stake. Reacting to the long standing strike, actor Arvind Swami says that is he tired of the strike and now wants to get back to work as soon as possible. Taking to Twitter, Arvind Swami posted a message talking about the strike and the negotiations the producers have had with the theatre owners and DSPs. “To be honest, I am kind of getting tired of this strike. Want to get back to work. Have no idea of the progress made in the terms put forward or the negotiations. I just hope everyone can get back to working soon and making movies. 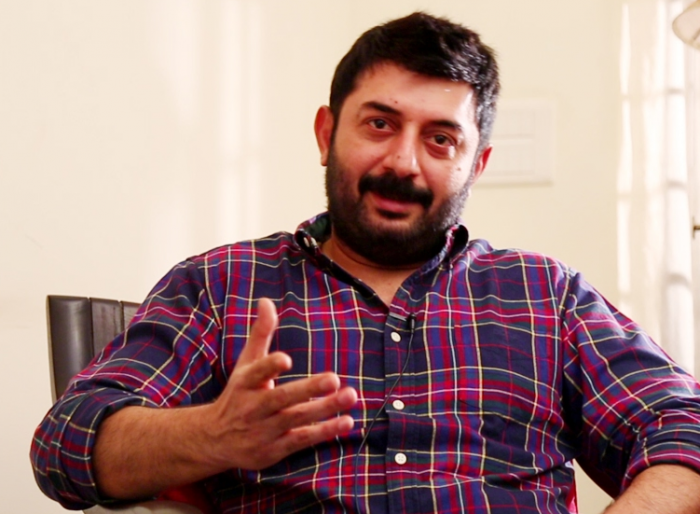 Thousands affected, need quick resolutions,” wrote Arvind Swami on his Twitter page. Arvind Swami, alike many other actors, has been waiting to hit the shooting floors of his films and has quite a few pending ones in the pipeline. To be honest, I am kind of getting tired of this strike. Want to get back to work. Have no idea of the progress made in the terms put forward or the negotiations . I just hope everyone can get back to working soon and making movies. Thousands affected, need quick resolutions. Shootings of many other stars like Vijay, Ajith, Suriya, Vishal and many other actors are halted because of the ongoing strike and are expected to get going as soon as the strike ends. Many actors like Suriya and Karthi have lent their support to the technicians and workers in the film industry by donating funds to their unions because they haven’t had any work in close to two months now, and are finding it tough financially.